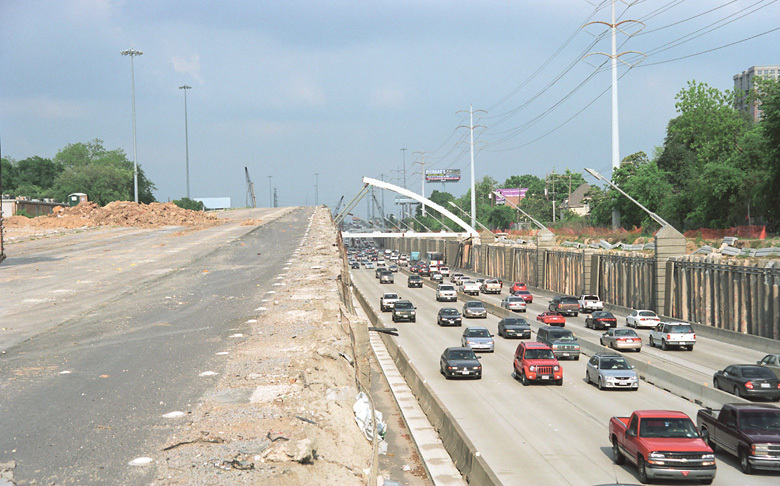 Photos taken on April 22 and 24, 2005. 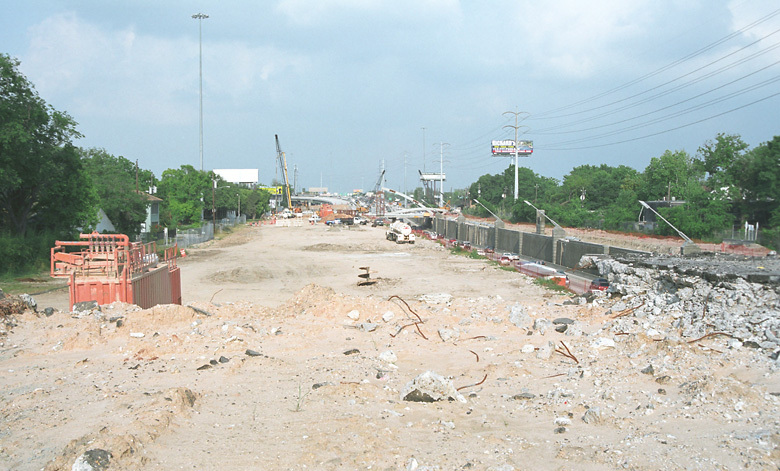 Looking east from the former west end of the elevated structure. 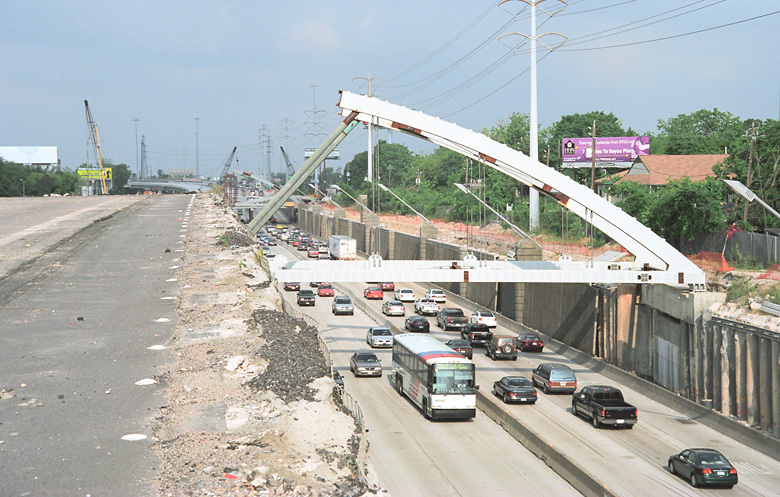 The entire elevated structure has been demolished and for a short period of time the ground will be in its original state. 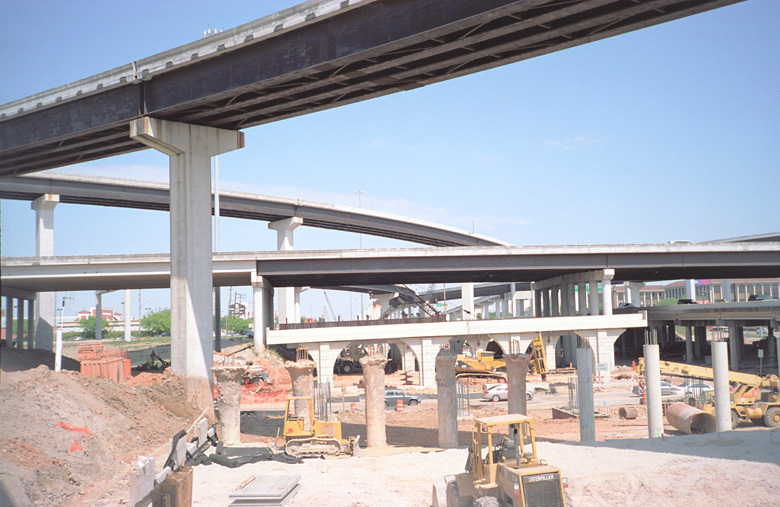 The only remaining part of the elevated structure is the embankment at the west end, visible on the left. 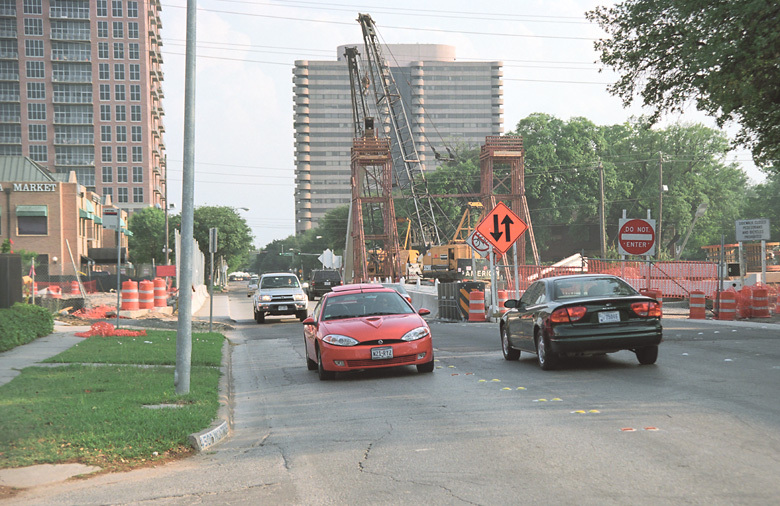 On the right is the first section of the Graustark street arched bridge. Another view of the embankment and Graustark arch. 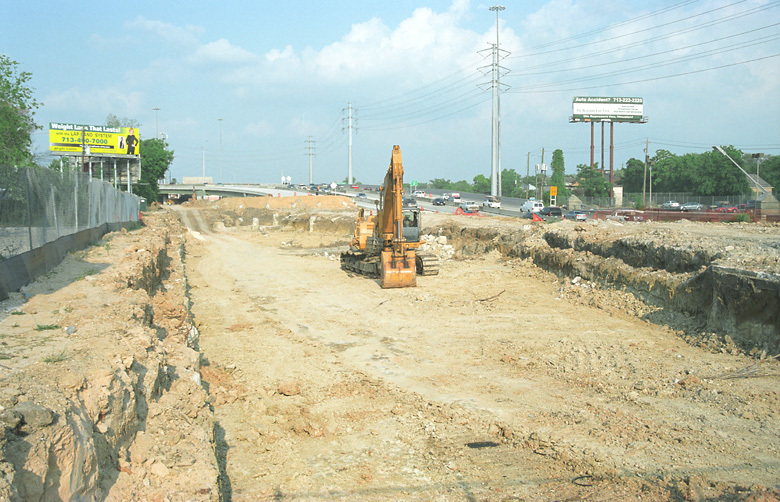 This view from the embankment shows the cleared right-of-way. 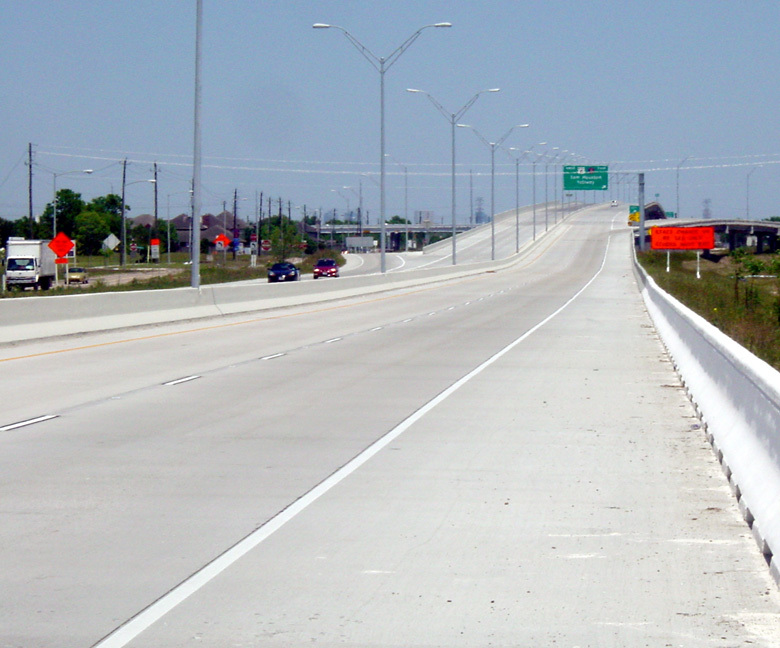 A ground-level view. Soon this will be excavated. 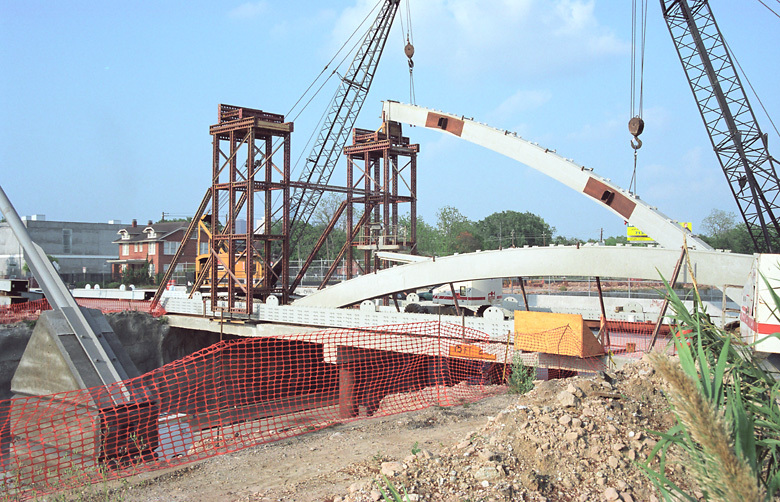 Construction of the arched bridge at Montrose. Work is progressing very quickly. 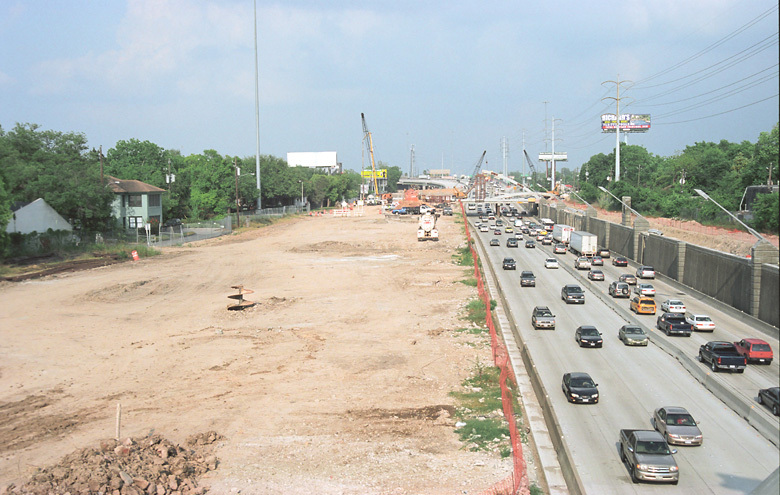 Looking east at the Beltway 8 main lanes, with a bent for the new westbound structure visible. Asphaltic base west of Wilcrest. 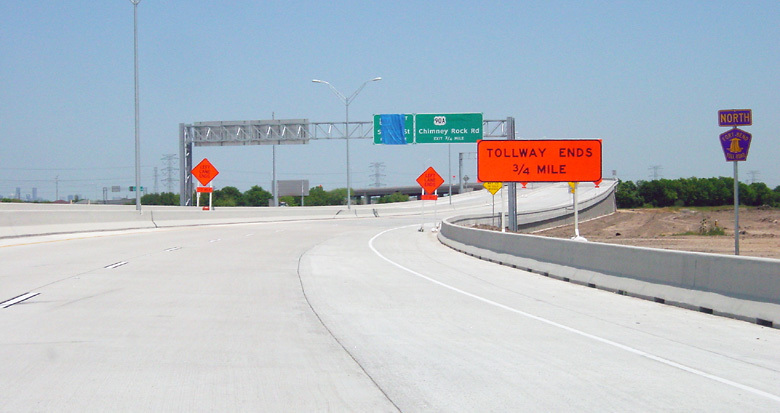 Photos start south of BW8 and proceed northward. 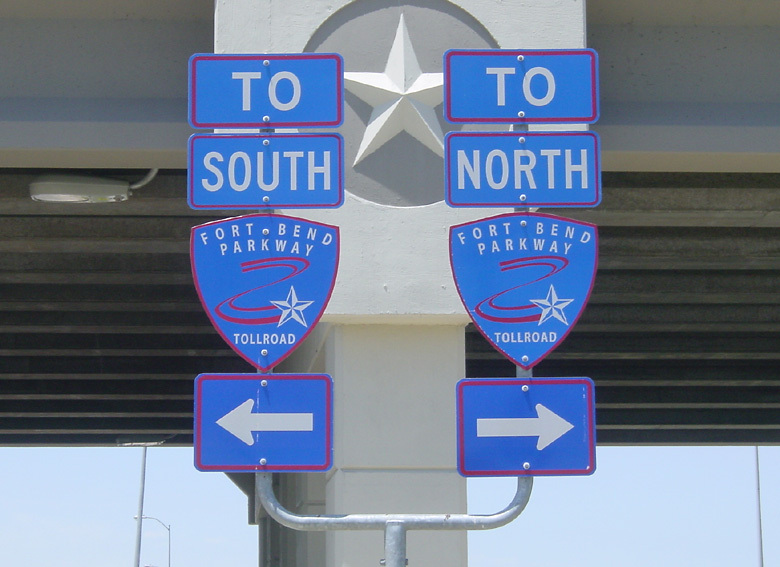 This is the Fort Bend County shield for the tollway. 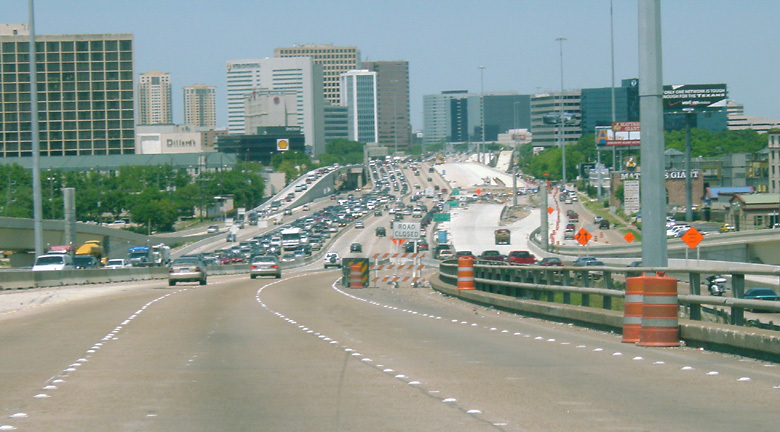 The Harris County section uses the purple Harris County shield. 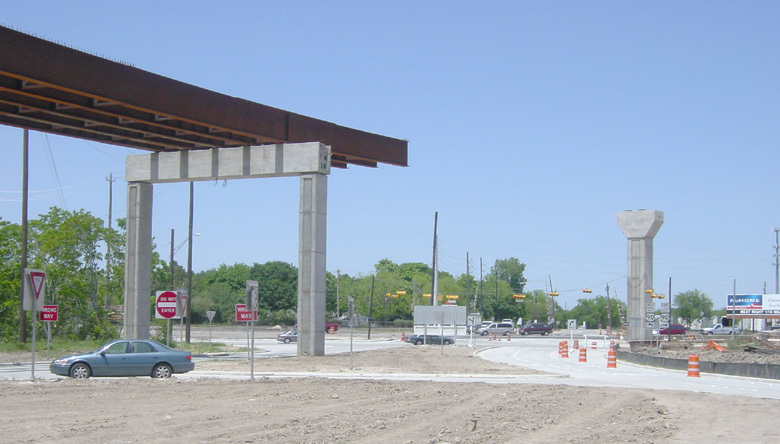 Entrance just north of BW8. 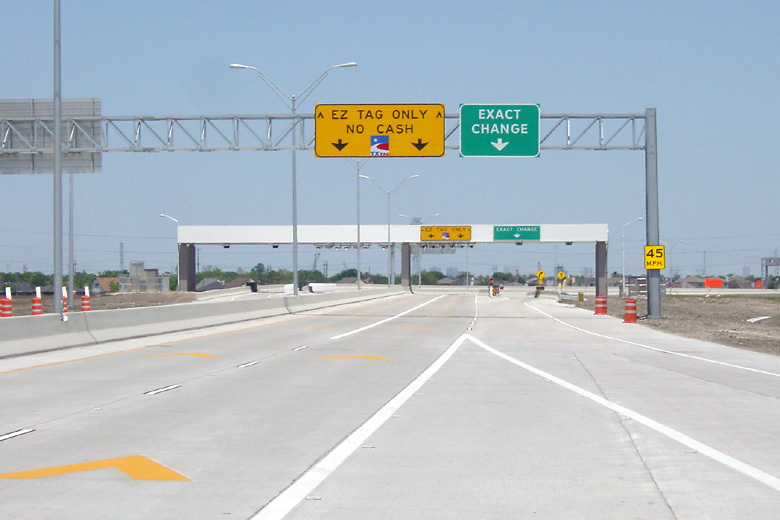 Toll plaza. Unlike the Fort Bend County Plaza, the Harris County plaza does not have a change machine. 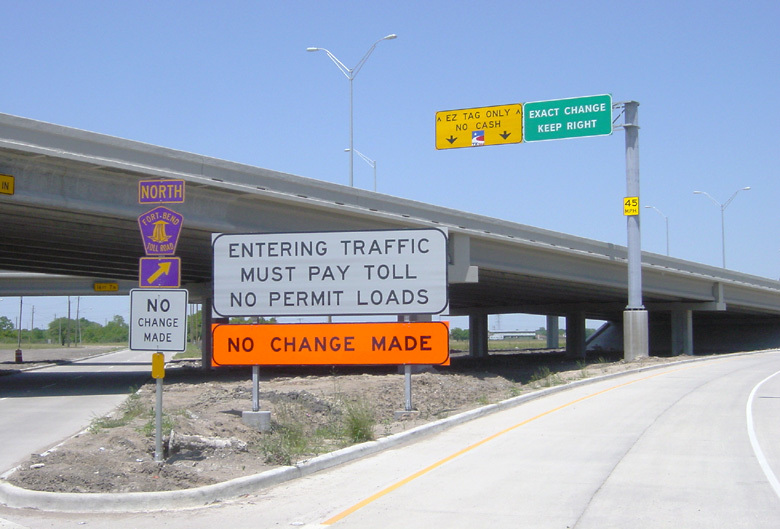 Just north of the toll plaza. 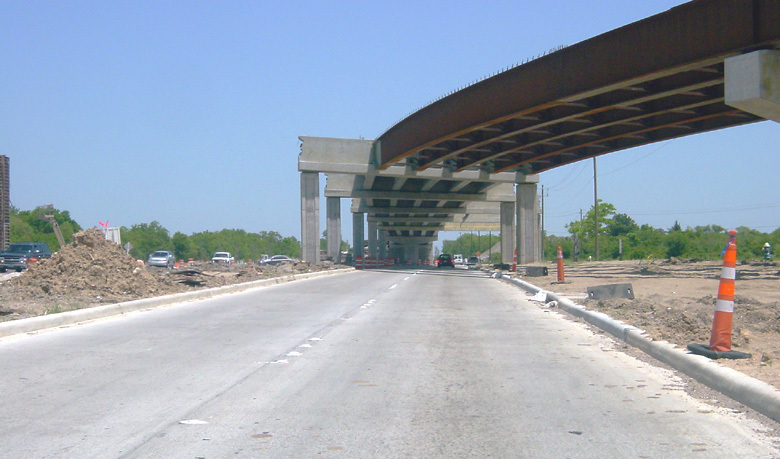 Approaching US 90A, the tollway terminus. 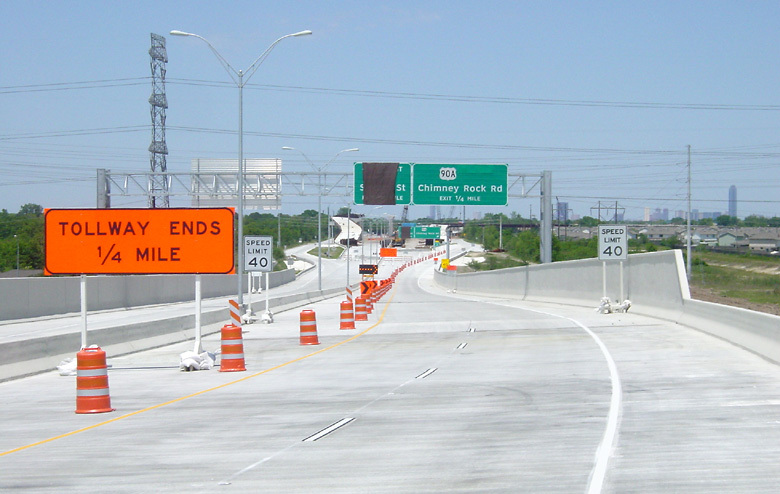 Ramp construction at US 90A. 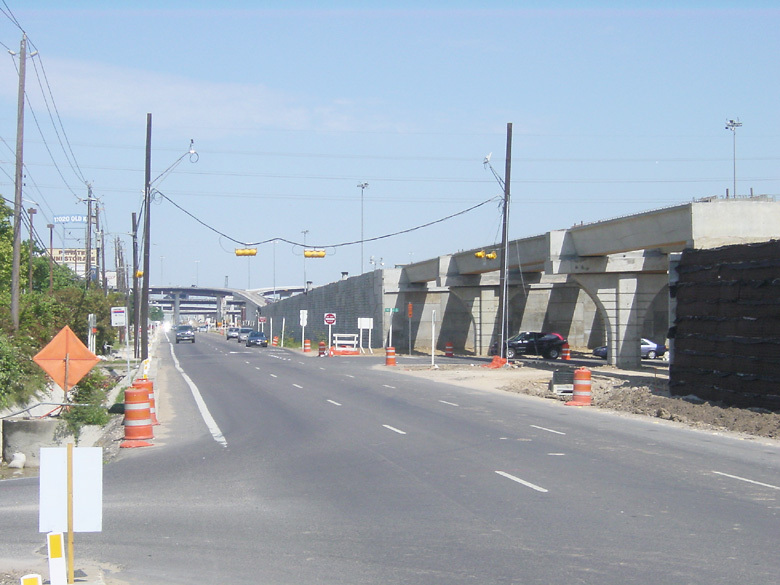 This view looks east along the US 90A feeder. 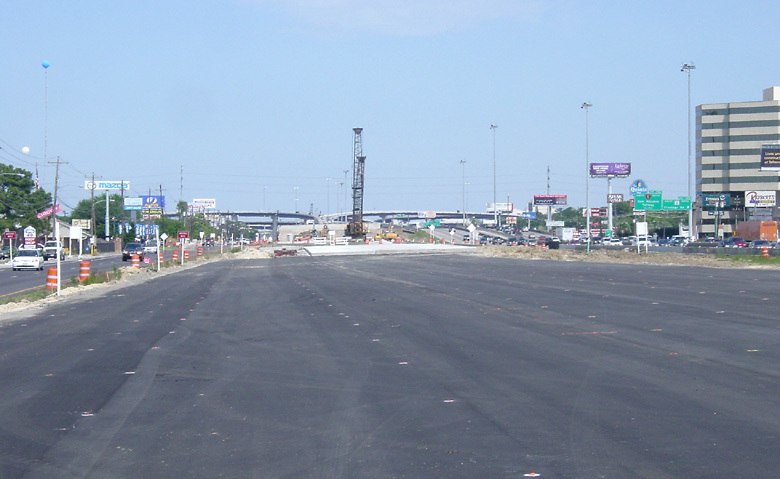 Work on the US 90A superstreet/mini-freeway is finally picking up speed. 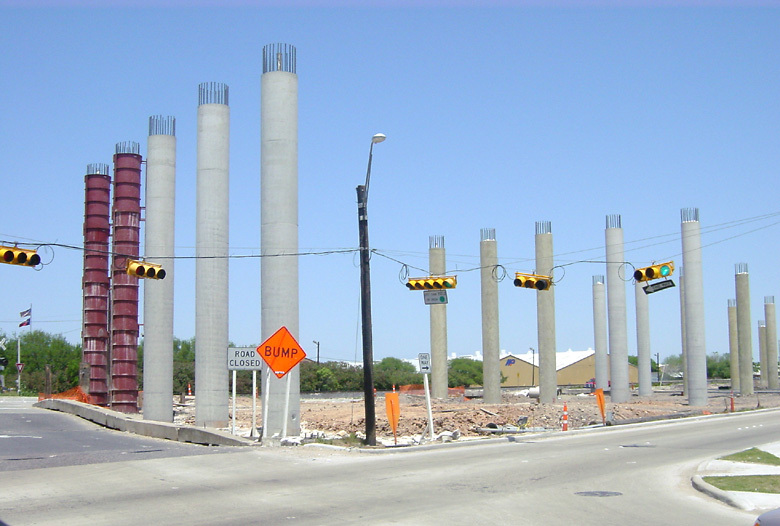 These columns are for the overpass at South Post Oak. 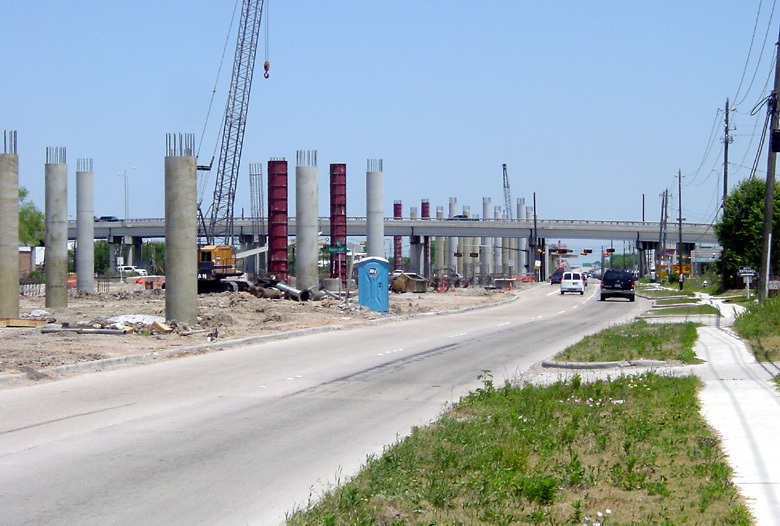 Another view of the US 90A columns at South Post Oak. 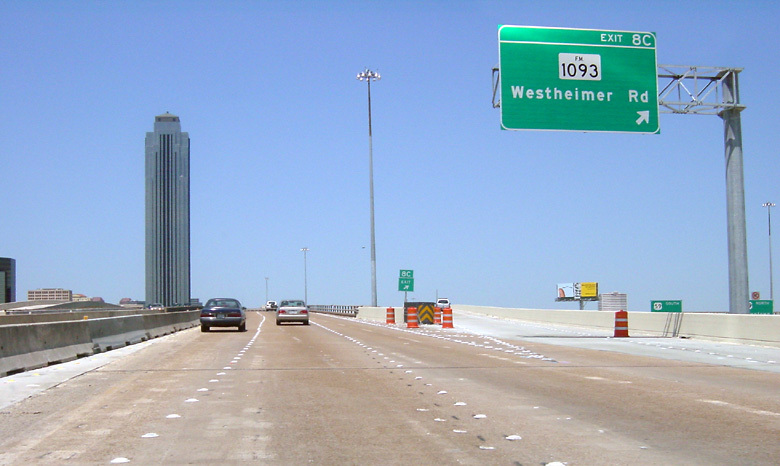 The northbound exit on Loop 610 to Westheimer is finally open. 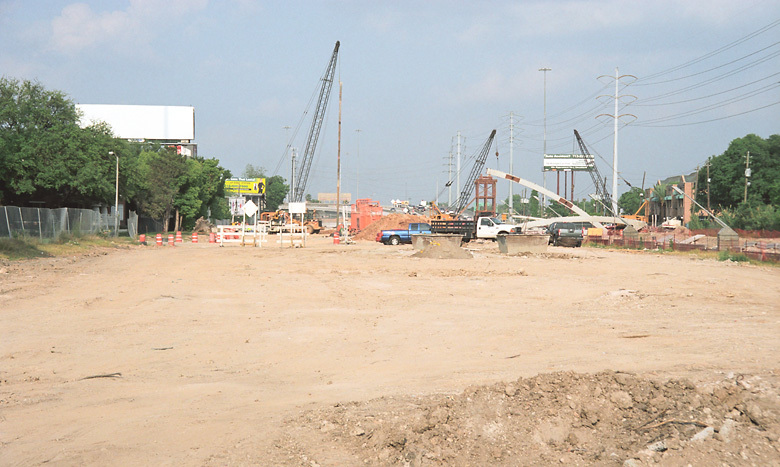 Work on the West Loop reconstruction is proceeding very quickly.